The N.O.A brand’s first collection and the most representative to date, the 16.75 is named after the year the balance-spring was invented. It single-handedly embodies the daring and contemporary nature of the N.O.A (None Of the Above) brand. 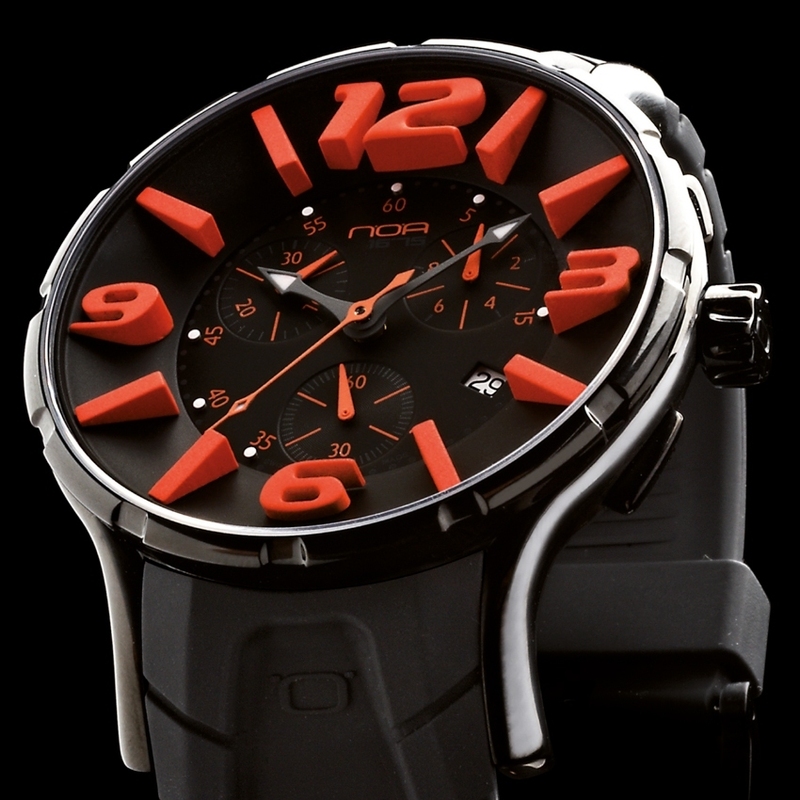 Available in three sizes and various colours, this timepiece features raised hour-markers and Roman numerals on the flange in a bold orange shade creating a striking contrast with the understated black dial. A successful blend of Italian style and Swiss know-how.